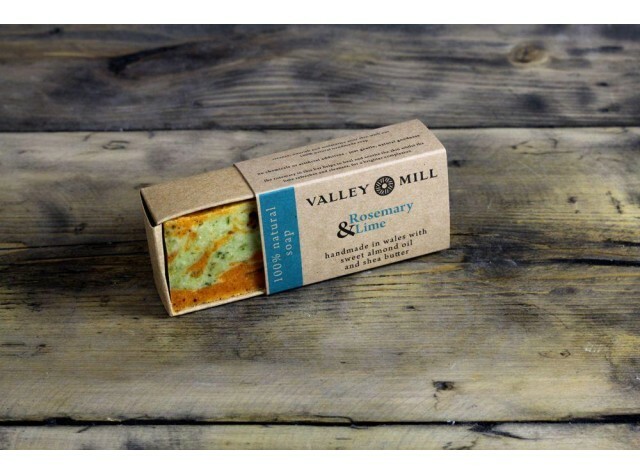 This handmade soap is naturally antiseptic and antibiotic. Both rosemary and lime have been used over the years to aid skin care - their cleansing and revitalising properties are well documented. The rosemary in this bar helps to heal and soothe the skin whilst the lime refreshes and cleanses, for a brighter complexion. Shea Butter, Sweet Almond Oil, Coconut Oil, Mango Butter, Olive Oil, Castor Oil, Rosemary Essential Oil, Lime Essential Oil, Spinach Powder, Annatto Powder.